Maintaining terrariums with multiple animals is difficult. It requires skill and experience to avoid problems; this is especially true when you're trying to mix more than one species in a habitat. An important component of success is striking the balance between species that can share a habitat yet will not directly compete for resources. While brown anoles and house geckos live in similar habitats, the two lizard species have different activity periods, which makes them good subjects for mixed-species terrariums. 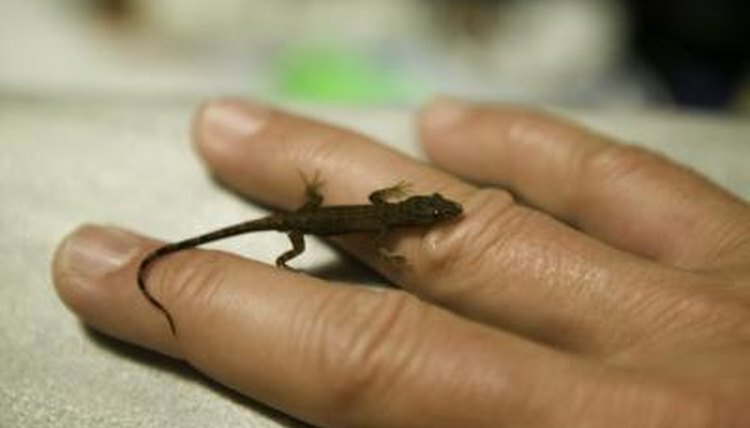 Both brown anoles (Anolis sagrei) and house geckos (Hemidactylus turcicus) live in similar habitats, consume similar food and -- at least in parts of their range -- experience similar climates. Both thrive around human habitation and adapt well to captivity. Because both species are arboreal, they spend large portions of their time perching on small branches and cage walls. Provide yours with a large, tall cage to maximize the space available to them. Provide approximately 10 gallons of space for each inhabitant, and provide plentiful hiding spots and visual barriers to limit their stress.